We have settled into the Loire Valley of France, staying at the delightful Domaine de la Bellevue, in the village of Pouançay, just south of Saumur. Our hosts, Sarah-Jane and Gérald Beaumont, have been wonderfully warm and welcoming. We are learning much about the wines of the Loire which should translate into some interesting postings in the days to come. In the meantime, here are some photos to set the scene! This is our cosy residence at La Bellevue. The roses are spectacular at the moment. A focus is wine of course – here the sparking Saumur Brut from Domaine de la Paleine. And with escargots at L’Escargot restaurant in Saumur a bottle of very good chenin blanc – L’Insolite from Domaine des Roches Neuves. The Loire is the land of châteaux. This is Château de Brézé, and a wine from Domaine du Collier, whose vineyards are not far away. There are some terrific wine shops waiting to be discovered. This is Les Compagnons Cavistes in the town of Cholet. 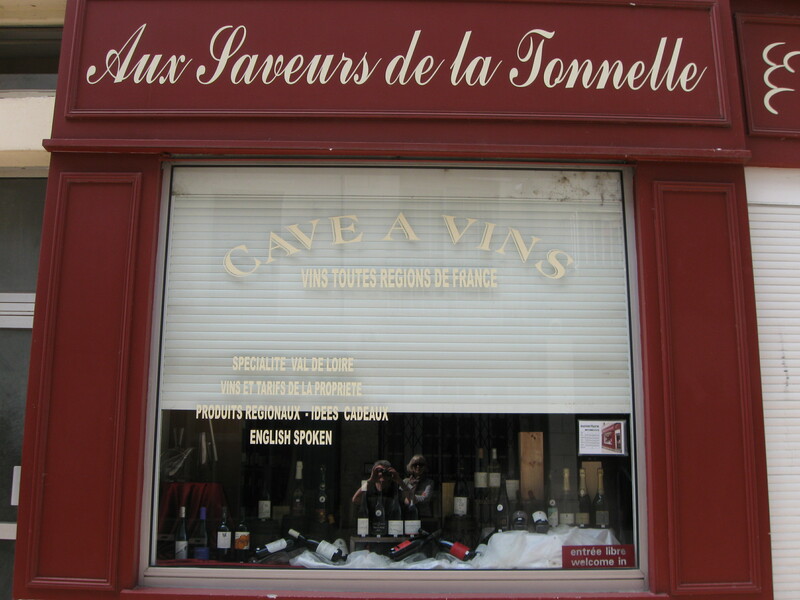 A wine recommended by the caviste Aux Saveurs de la Tonnelle in Saumur. Only a thousand bottles made and what a treat. A production of two thousand bottles here, and equally remarkable. Our hosts at La Bellevue surprise us with something special – wine from a domaine in Roussillon, from the exceptional vigneron Laurent de Bosombes, a friend of Gérald’s from his days of operating a wine bar in Paris. It is nothing less than Domaine Singla. All this and the joys of the markets besides. The year-long venture into organic/biodynamic/natural wine has reached its end. 52 wineries came into view, as did 52 of their wines. It’s time for a summing-up, a tallying of the experience. My prior experience of wine was not long-standing, but I saw that as something of an advantage. Popping corks week after week with relatively virgin taste buds made the venture all the fresher. One hopes it was reflected in the writing. The stories of how the wines came into production were as interesting as the wines themselves. For me the passion of the men and women behind the labels is integral to appreciating what is poured into the glass. I heard from a few of them subsequent to posting about their vineyards. Brilliant wine makes quick friendships. Has my view of organic/biodynamic/natural wine changed? I have learned a great deal, and a great deal has been reinforced, about wine generally as much as about these categories in particular. Price doesn’t necessarily equate with quality. Wine scoring does more harm than good. Tasting notes reflect as much on the taster as the wine. Great food can add much to the experience of a great wine…e.g. Newfoundland lobster. The more care taken with the vineyards the greater the character of what ends up in the bottle. And the circumstances (family and friends and conversation) under which a wine is drunk is a prime factor in its appreciation. By the end of the 52 weeks I had spent just over two thousand dollars. Some of the wines were acquired at bargain prices, in the clearance aisles. In a few cases I was able to buy directly from the vignernon, or at wine shops close to them. Most of the wines, however, had to travel far before finally ending up under my corkscrew. And still I came in at an average of about $41 a bottle, nine dollars a bottle below what I had budgeted. Good job! What now? Will One Brilliant Bottle continue in the new year? Let’s just say my cellar has many bottles I didn’t find time to open. And that there are many more vigneron stories waiting to be told. Wine made without the use of chemicals and pesticides can only be better for all of us. Wines from vignerons who invest in their vineyards, in ways I have written about in the past year, produce more interesting, less universal/generic results. Not all the wines I tried were brilliant. Some I have tasted and put aside, and not talked about. And the term ‘brilliant’, although a broader rating than a wine score, needs the context of the person who penned it. As I sit here in Vinland, looking beyond the fence, I see the entrances of reconstructed sod-covered longhouses where Norse fires are blazing. Still, as in the time of the Norse, the only wine my Island home produces is from berries. 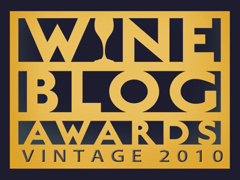 It would appear to some as an odd place from which to be writing a wine blog. But many wonderfully brilliant bottles have found their way here and more will continue to wash ashore. Cheers. Salut. À votre santé. Happy New Year.